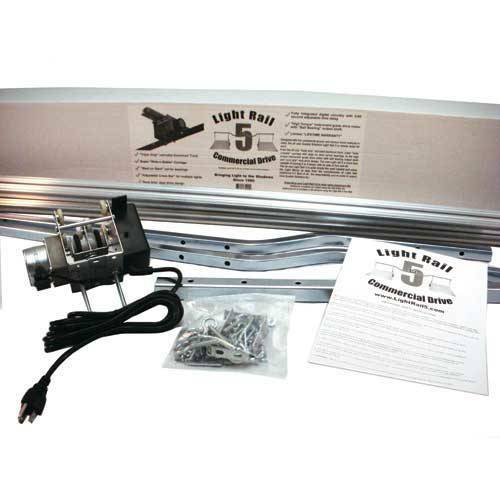 Light Rail 4.0 AdjustaDrive Kit: The Light Rail 4.0 AdjustaDrive Kit has both a 0 to 60 second adjustable time delay for pausing the grow light at both ends of its travels, promoting even growth from end to end; but it also has a 2 to 4 feet (.6 to 1.2 meters) per minute adjustable speed control as the Motor goes along the Rail. 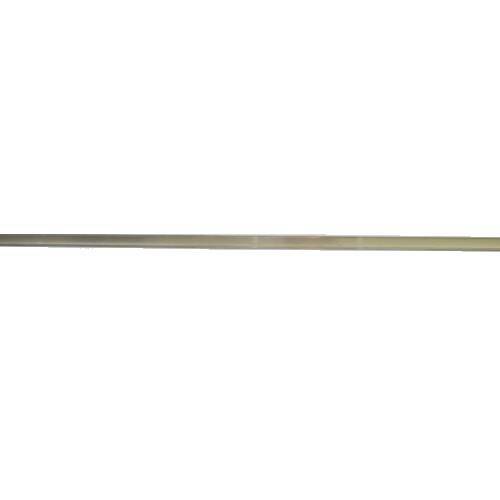 This feature covers a wide range of grow light intensities and travel distances, and provides considerable flexibility. 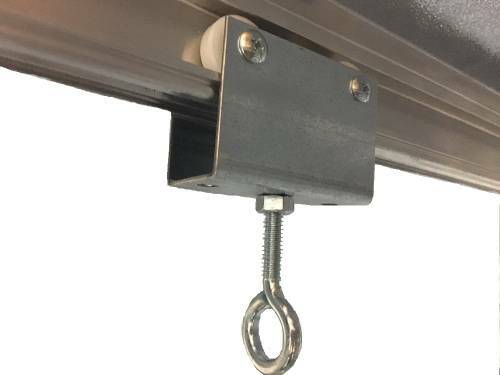 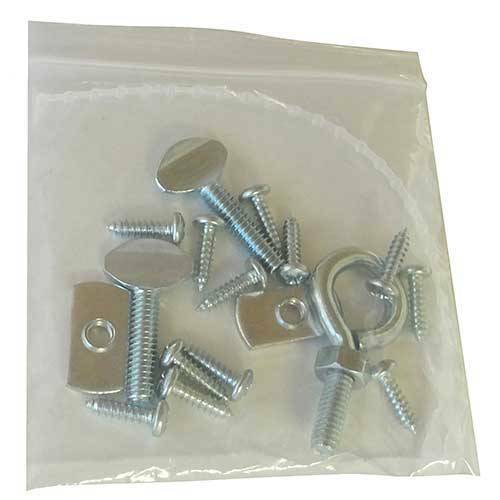 The Light Rail 4.0 AdjustaDrive Kit is the ultimate in light mover control and is compatible with all Light Rail 3.0, 3.5 and 4.20 Rails and accessory items. 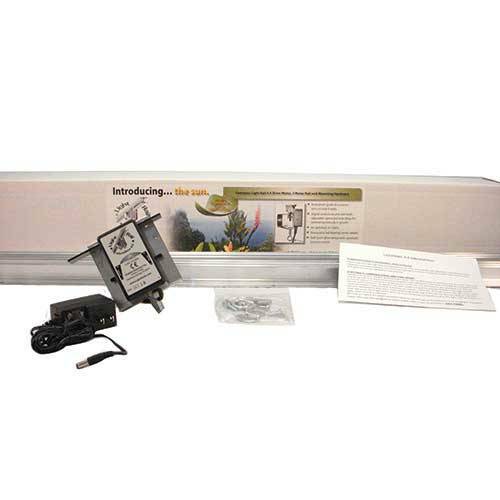 This indoor grow kit comes complete with a Light Rail 4.0 Drive Motor, a two piece 2-meter Rail (6’6” total length), mounting hardware, instructions and a 2 year warranty. 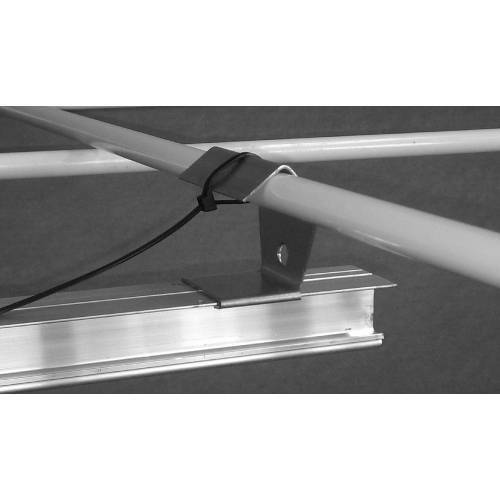 Note: Light Rail 4.0 has an adaptable transformer power cord and works with 110 volt and 220 volt. 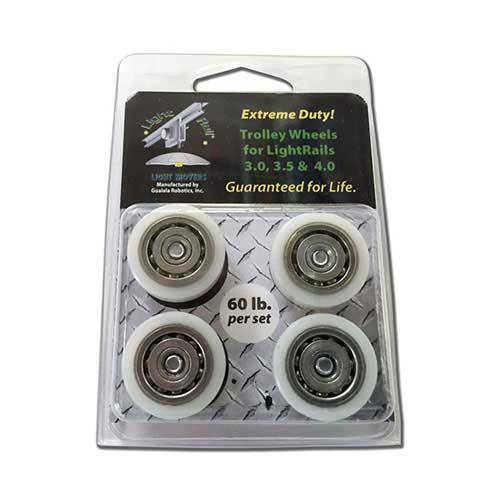 Upgrade now to add Extreme Duty Trolley Wheels ($21.95) because these are recommended for heavier lights +/ or multiple lights moved with one motor – Easy to install and rated to 60 lbs, these wheels come with a lifetime warranty! 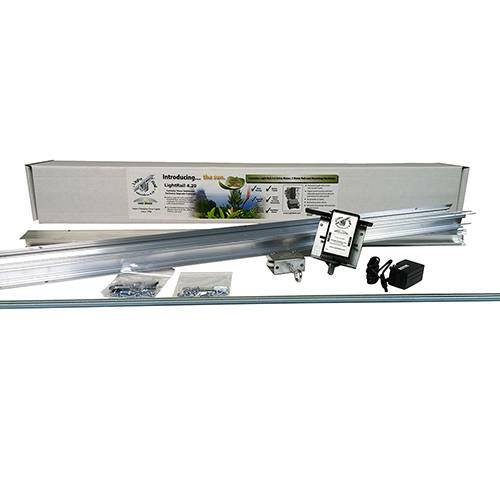 Light Rail 4.0 AdjustaDrive Kit: This indoor grow kit has both a 0 to 60 second adjustable time delay for pausing the grow light at both ends of its travels, promoting even growth from end to end; but it also has a 2 to 4 feet (.6 to 1.2 meters) per minute adjustable speed control as the Motor goes along the Rail. 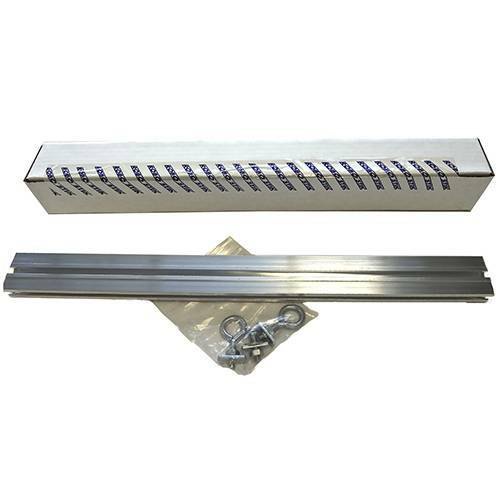 This feature covers a wide range of grow light intensities and travel distances, and provides considerable flexibility. 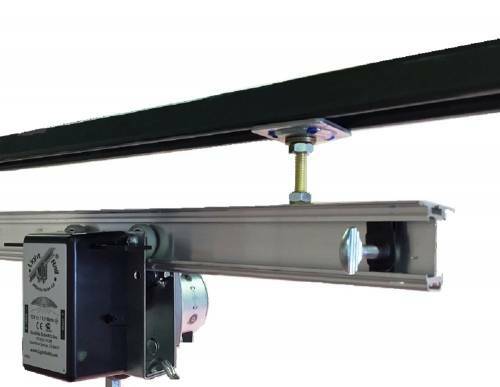 The Light Rail 4.0 AdjustaDrive Kit is the ultimate in light mover control and is compatible with all Light Rail 3.0, 3.5 and 4.20 Rails and accessory items. 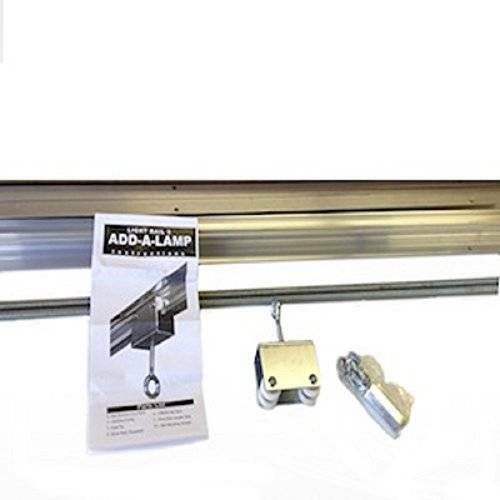 Light Rail 4.0 AdjustaDrive Kit comes complete with a Light Rail 4.0 Drive Motor, a two piece 2-meter Rail (6’6” total length), mounting hardware, instructions and a 2 year warranty.